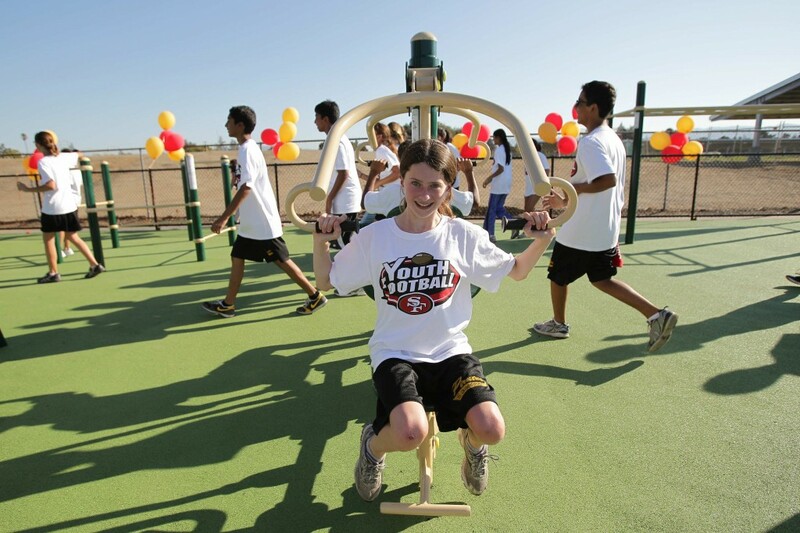 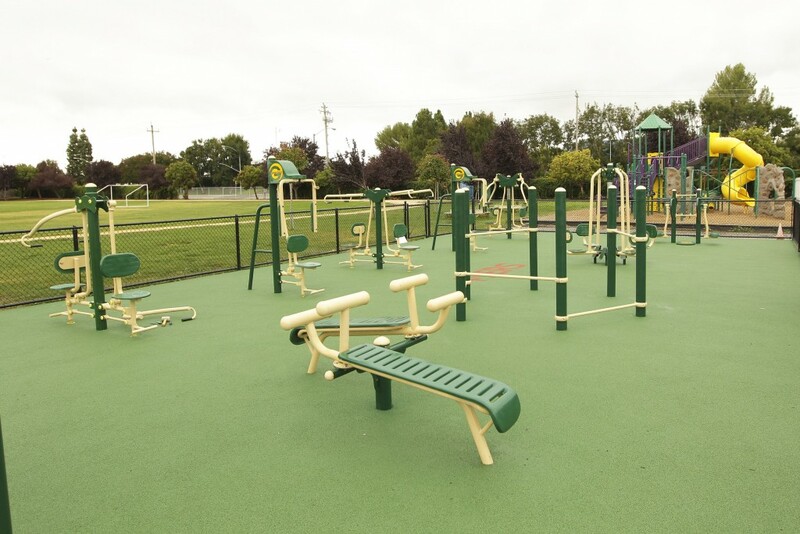 Greenfields’ unique outdoor fitness zones offer communities a great way to promote wellness and fight obesity with exercise equipment that’s social in nature, fun to use and accessible for almost everyone. 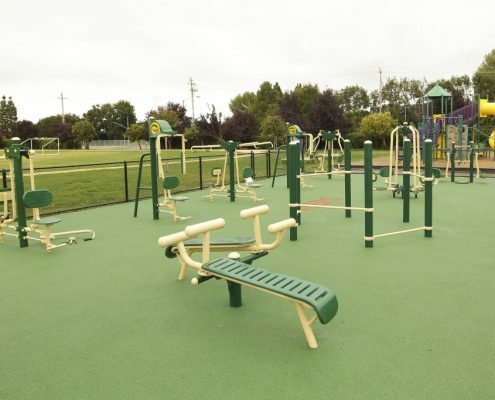 One of the most exciting concepts introduced to the public in recent years, the equipment is embraced by communities nationwide for its high quality and multi-generational appeal. 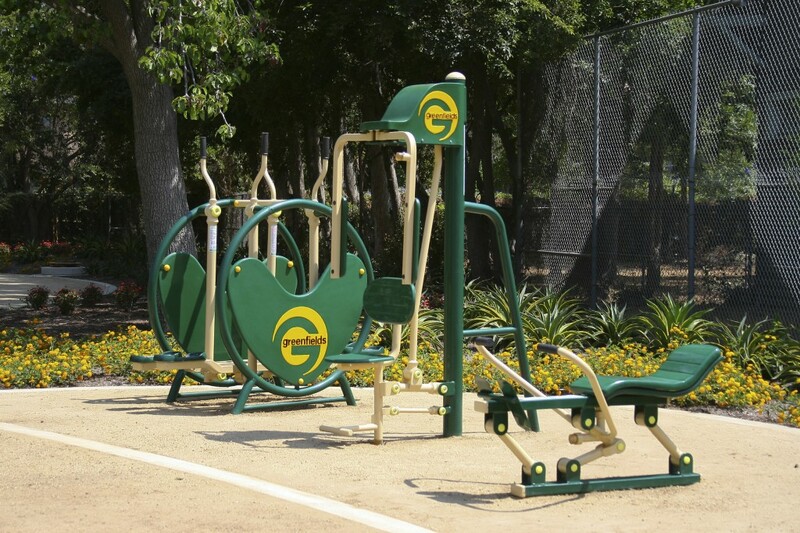 Greenfields’ extensive product line includes body-weight resistance equipment, cutting-edge adjustable hydraulic units and apparatuses specially designed to be wheelchair-friendly. 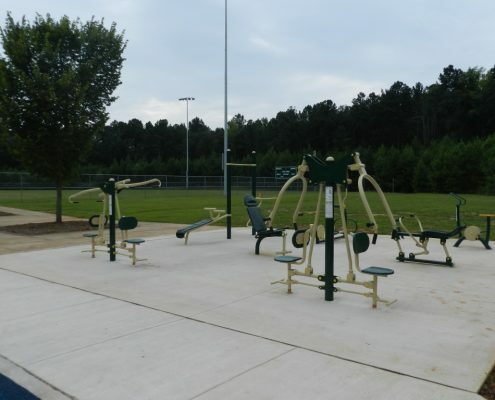 All exercise units are require minimal maintenance and no lubrication, and are free for the public to use 24/7. 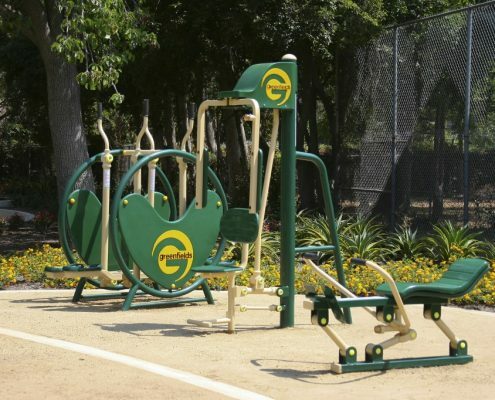 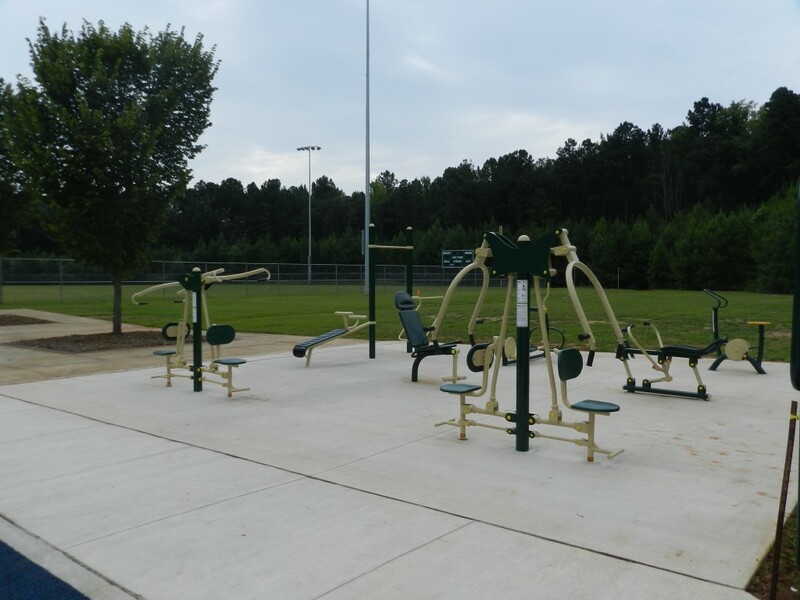 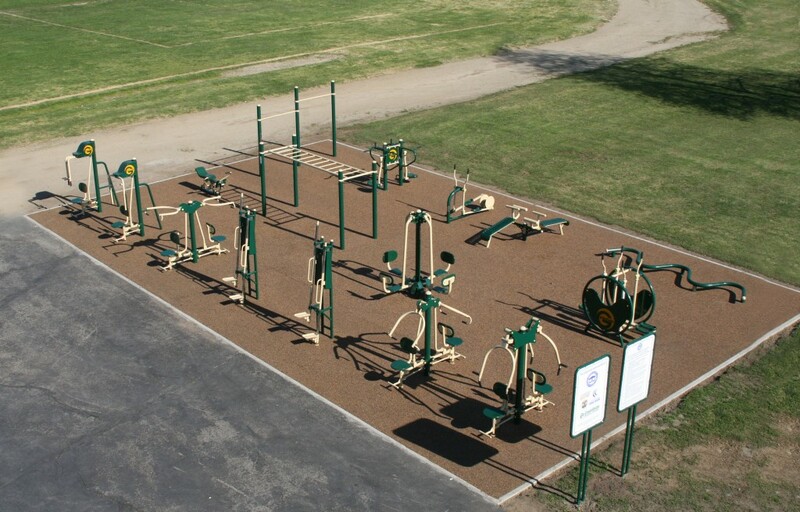 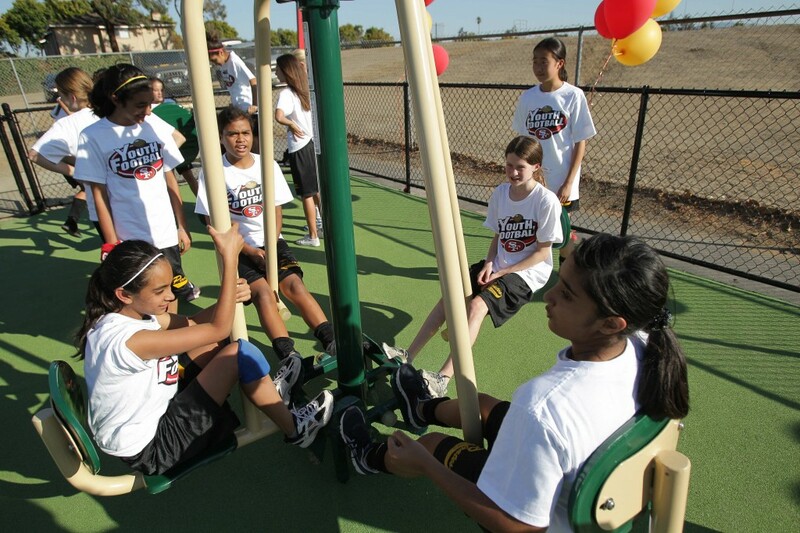 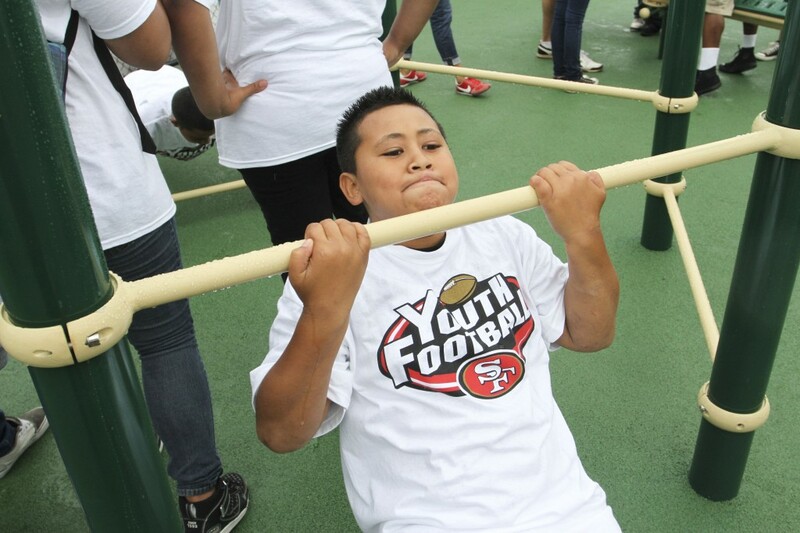 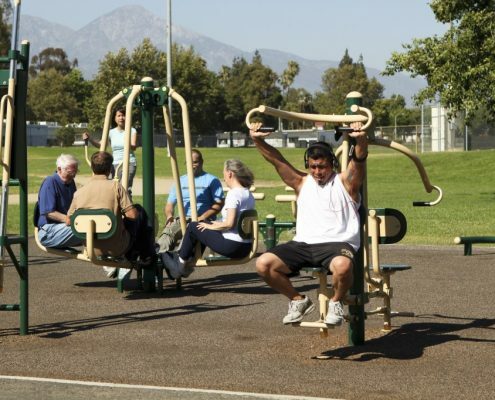 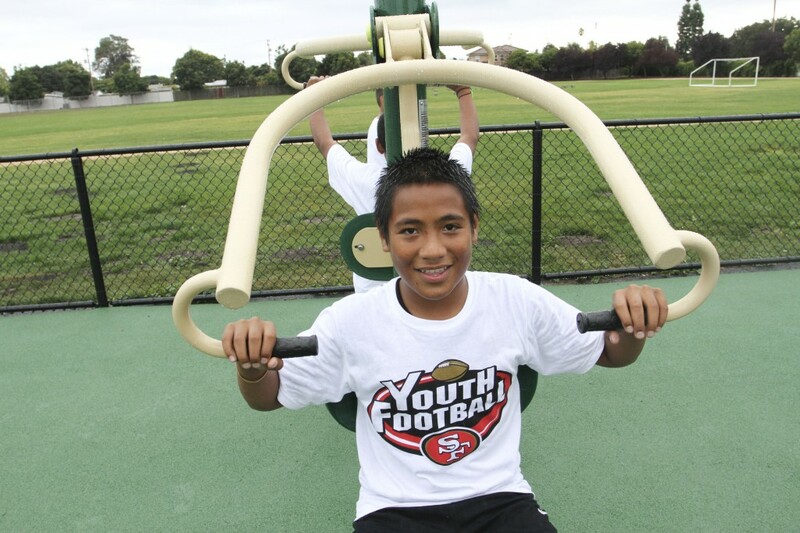 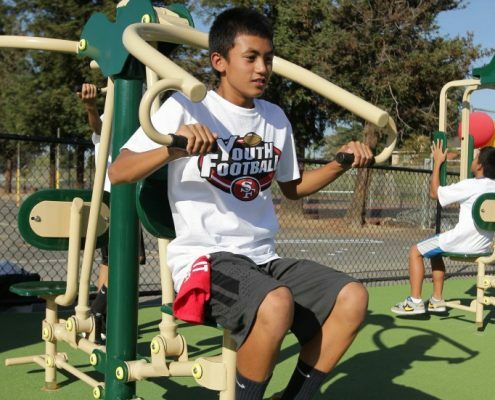 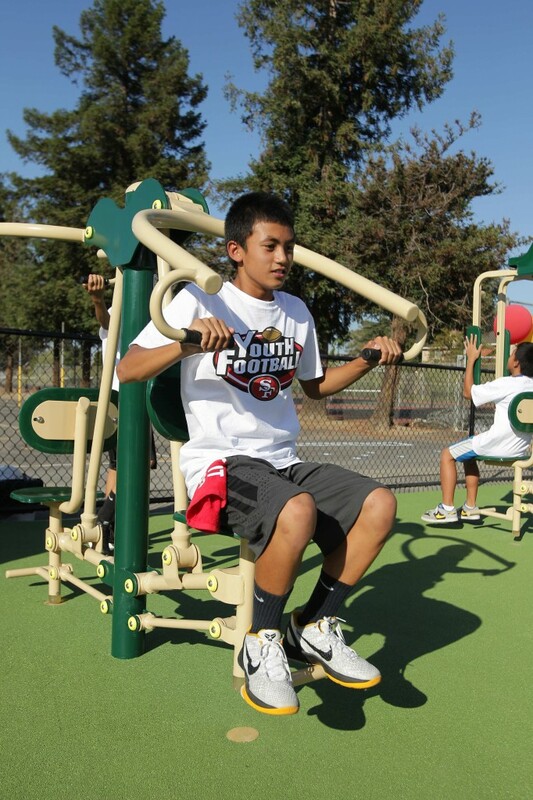 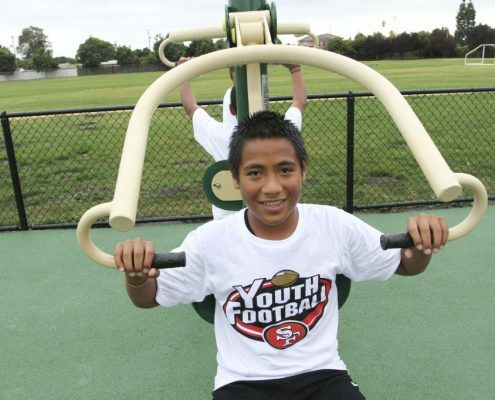 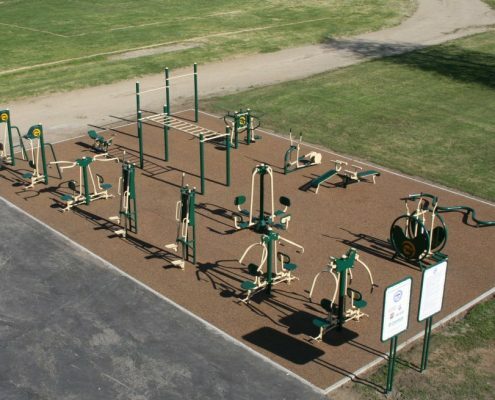 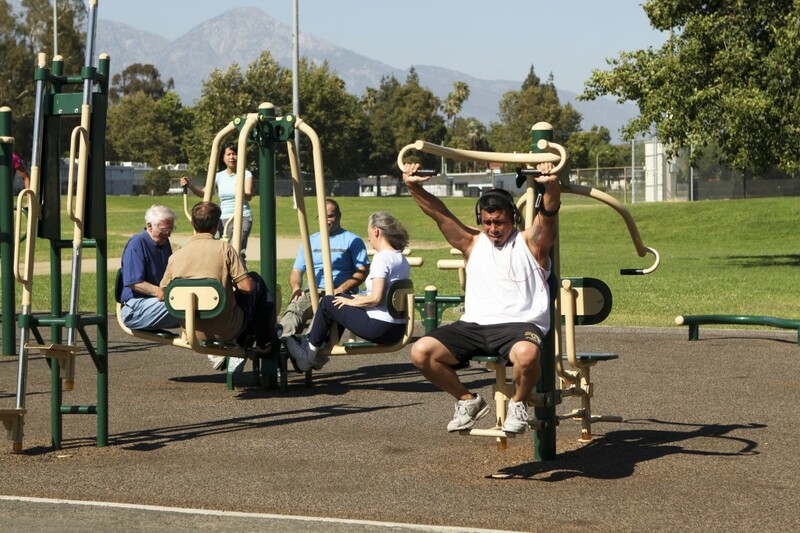 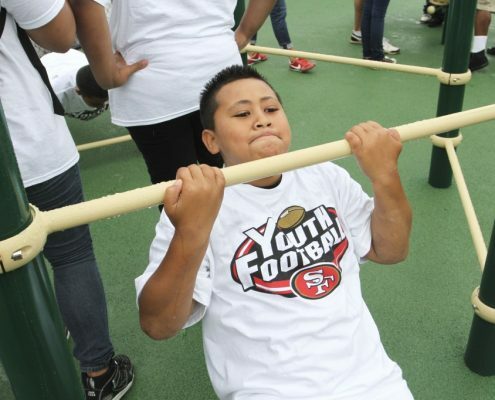 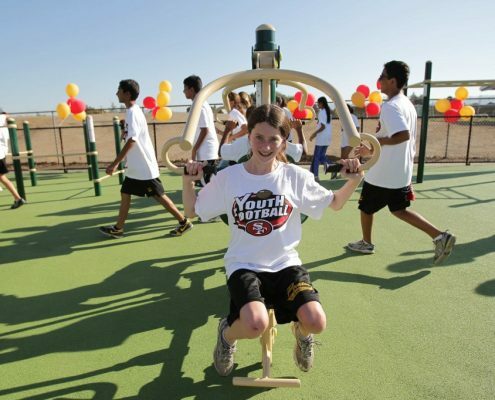 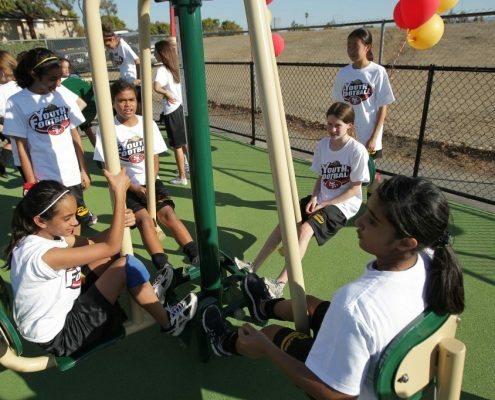 Greenfields’ equipment is perfect for parks, schools, senior centers, fitness trails and more!